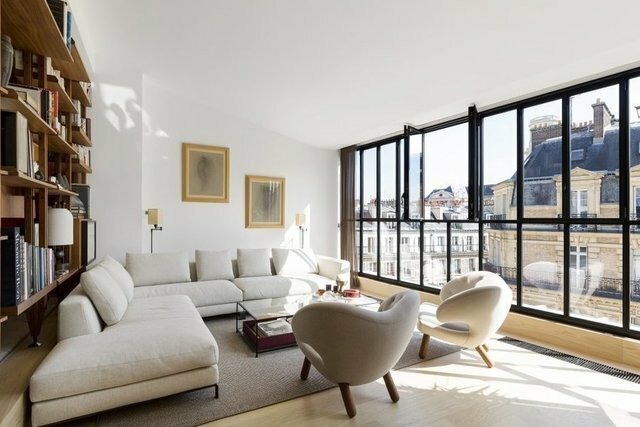 This bright apartment on the sixth and top floor of a building with a lift offers 76 sqm of meticulously renovated living space. It comprises a living/reception room bathed in sunshine thanks to wide patio windows, a kitchen, a dining room and a suite. A perfect pied a terre in a prime location in one of the capital's most renowned and desirable neighbourhoods, sold with all the furnitures. AgentDaniel Feau Conseil Immobilier, SA.